Prepare yourself to save Lepustopia with this group of crazy mercenaries. 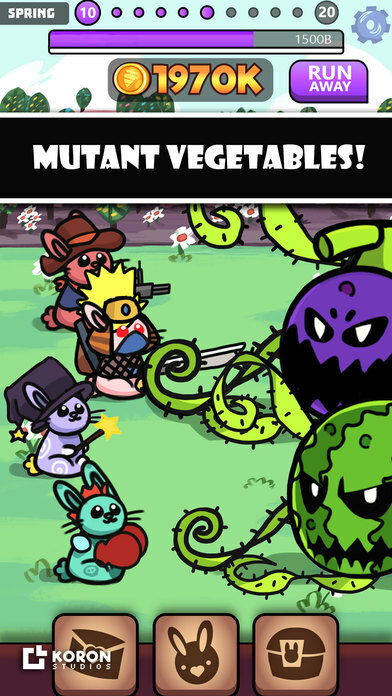 Hire special rabbits to join your fight against the evil mutant vegetables in this RPG clicker. 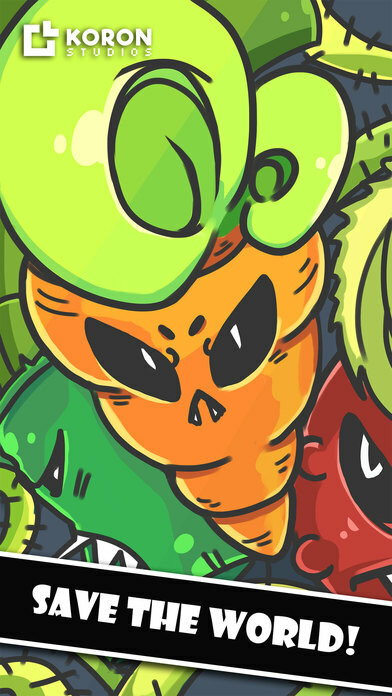 Battle hordes of transgenics plants and defeat incredible bosses in this idle game. Tap, tap, tap and tap to save the world! Ready for an epic adventure? Play with a wide variety of characters like Miss Rotter the young wizard or Ruppert the nerd hipster. They may look like cute bunnies but they are not! Each rabbit has his own special weapons and abilities to defeat the vegetables. 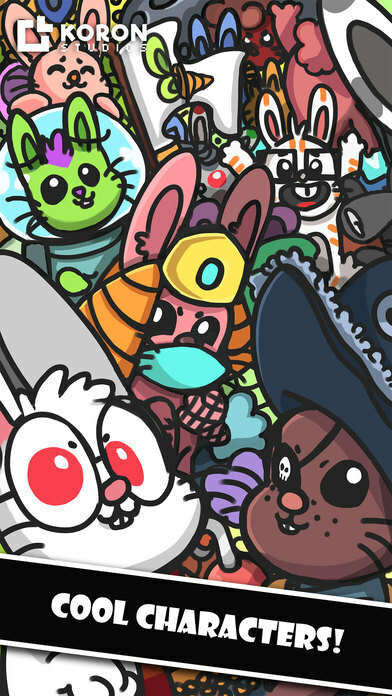 Create your unique team of rabbits with more than 32 possible combinations! Collect rabbitcoins, the currency in Lepustopia, to upgrade your heroes and make them stronger. Out for a while? Don’t worry, your rabbits will still collect coins even when you are out of the game. Enter again to collect all the saved money! Did you see that? Is the Rabbitcorn, a magical creature part rabbit and part unicorn. This fantasy creature will appear randomly flying through the sky. Tap him to collect extra rabbitcoins. 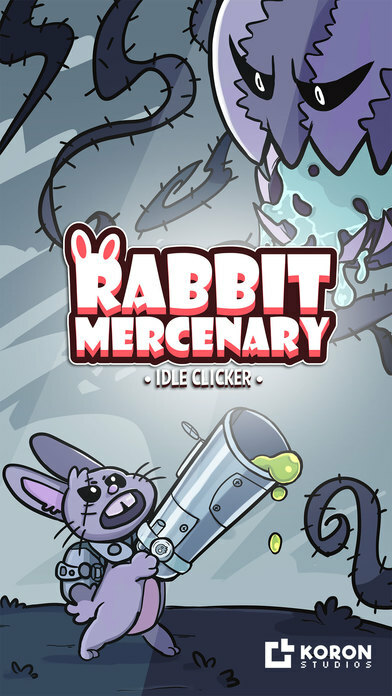 Complete different stages along your journey to earn extra rabbitcoins and unlock new rabbits to hire. Travel through five different stages and defeat all the enemies! Are the vegetables too tough for you? Use the time travel portal to earn new treasures and make your rabbits stronger! Charlie Chemium is a mad scientist and a veggie enthusiast who always loved to experiment with food. During one of his investigations on the FIC (Food Investigation Committee) he created a new formula to easily clone vegetables and make them bigger in order to give free food to all the planet. However something went terribly wrong and the vegetables turned to be evil. Worried about the situation going out of control the rabbits at the AIO (Anti-Threat International Organization) hired a group of special mercenaries to stop the disaster. Fight side by side with this special commando and help to save the planet. • Hand drawn characters and environments. 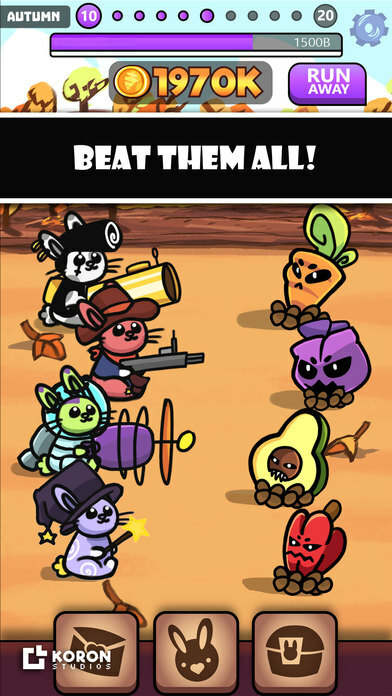 • Play with up to 8 different rabbits! • Easy controls. Just tap, upgrade, tap, upgrade! • Supercute characters and story. This game is the second game by Koron Studios, a small indie studio located in Madrid.